The National Union of Journalists of the Philippines has thrown its support behind Ted Failon and his ABS-CBN colleagues after a local court in Tagaytay City ordered their arrest on Tuesday for a libel suit filed by former Metro Manila Development Authority (MMDA) Chairman Francis Tolentino. In a statement Wednesday, NUJP said that it "stands squarely" with the Kapamilya news anchor and his Failon Ngayon team, saying that the defamation suit filed against them "underscores how onion-skinned government officials wield the antediluvian criminal libel law as a bludgeon in their vain hope to cow critical journalism into silence." It adds, "Regardless of the merits of the case, there can be no doubt Failon had taken on a subject of public interest and significance and sought accountability from a government official sworn to uphold the law and promote the general welfare." The group has also called on the former traffic czar to drop the case, and reiterated its call for Congress to decriminalize libel. "We also reiterate our long-standing demand for Congress to swiftly legislate the decriminalization of libel and bar its use by public servants to quell legitimate inquiries and criticism of their actions," the statement reads. The libel suit against ABS-CBN’s Ted Failon and members of his staff again underscores how onion-skinned government officials wield the antediluvian criminal libel law as a bludgeon in their vain hope to cow critical journalism into silence. Failon and his three colleagues posted bail Tuesday after they were ordered arrested by a Tagaytay City court for the case filed by then Metro Manila Development Authority (MMDA) chairman and now presidential political adviser Francis Tolentino. The charge stems from an episode of “Failon Ngayon” that looked into the allegedly irregular purchase by the MMDA under Tolentino of secondhand motorcycles for Pope Francis’ visit to Manila in 2014, which the Commission on Audit had questioned. Regardless of the merits of the case, there can be no doubt Failon had taken on a subject of public interest and significance and sought accountability from a government official sworn to uphold the law and promote the general welfare. The National Union of Journalists of the Philippines stands squarely with Ted Failon and his colleagues and calls on Mr. Tolentino to drop his misbegotten suit against them. 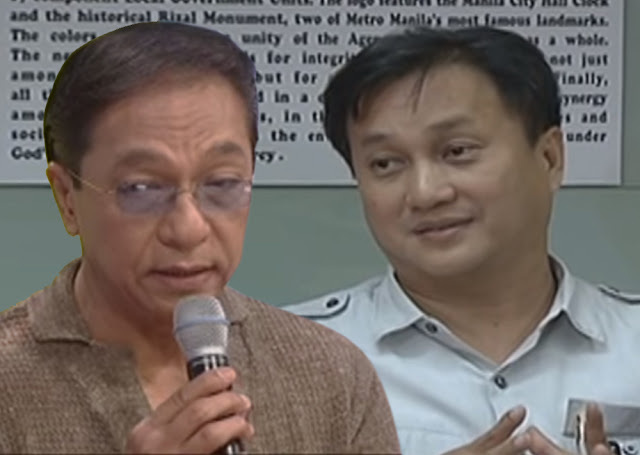 Mr. Tolentino claims his reputation was tarnished. But seeking to jail journalists instead of squarely responding to the valid issues they raised can only taint his image even more. Filing a criminal libel suit instead of responding to an issue honestly smacks of vindictiveness and goes against the very principle of public office being a public trust. We also reiterate our long-standing demand for Congress to swiftly legislate the decriminalization of libel and bar its use by public servants to quell legitimate inquiries and criticism of their actions.